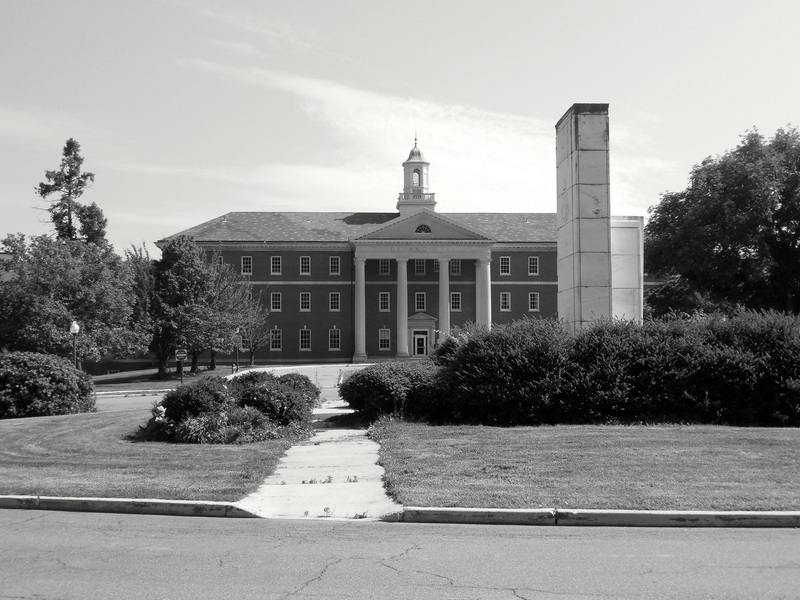 The Walter Reed Army Medical Center Historic District is comprised of 110 acres and occupies a prominent hilltop in the upper northwest portion of Washington D.C.
Walter Reed General Hospital is one of the oldest operating Army general hospitals, and has played an important role in medical advancements throughout its history. 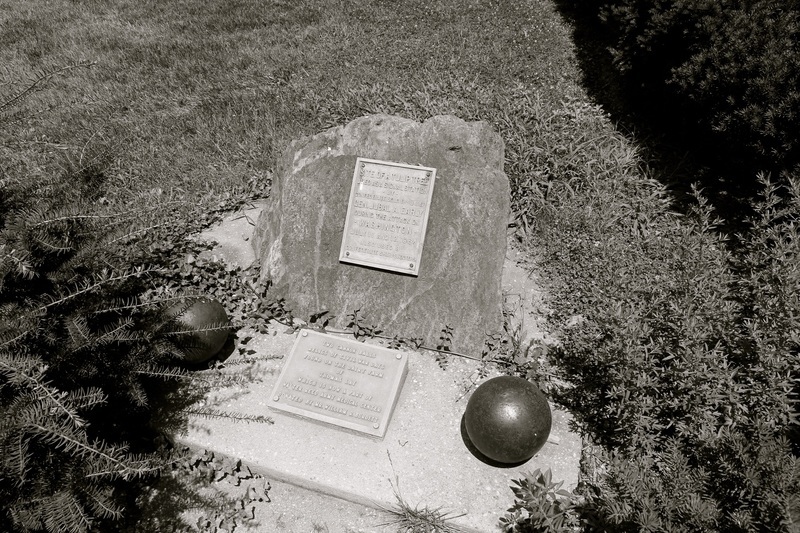 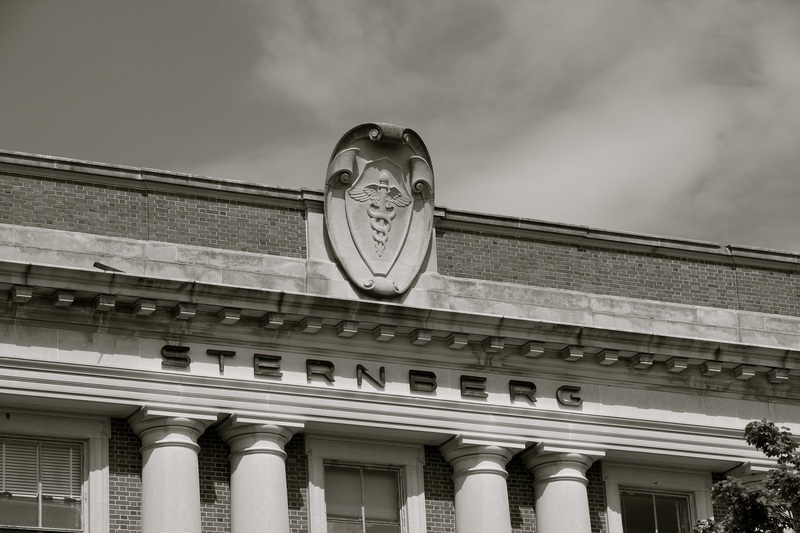 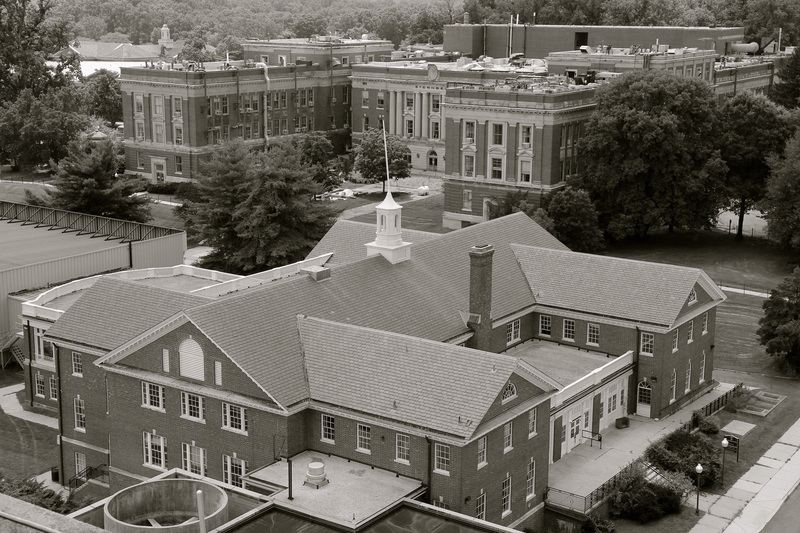 Since 1924, it has been associated with medical education as the site of the Walter Reed Army Medical School. 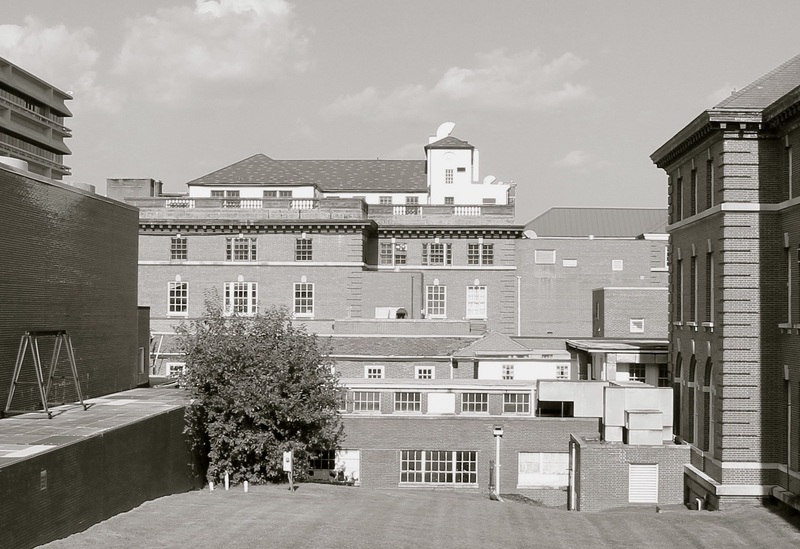 The hospital campus is also significant for its architecture and design. 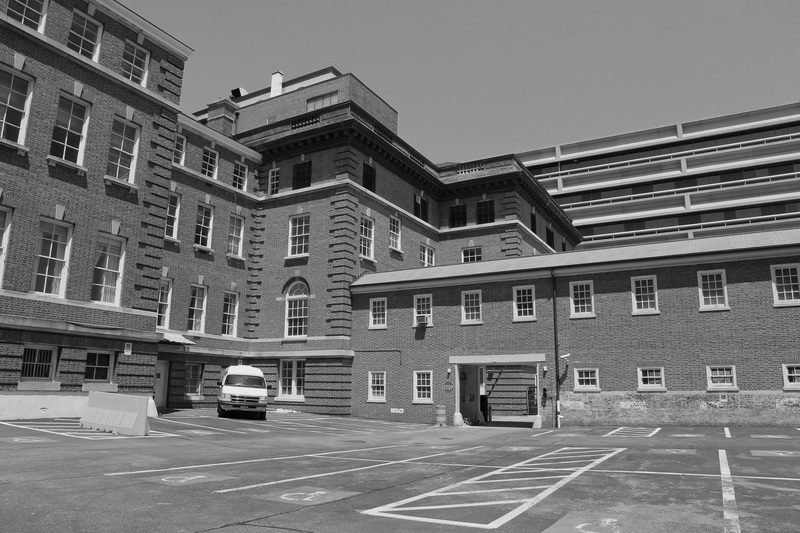 The layout was influenced by both Beaux Arts planning principles and John Shaw Billings’ revolutionary design for Johns Hopkins Hospital in Baltimore. 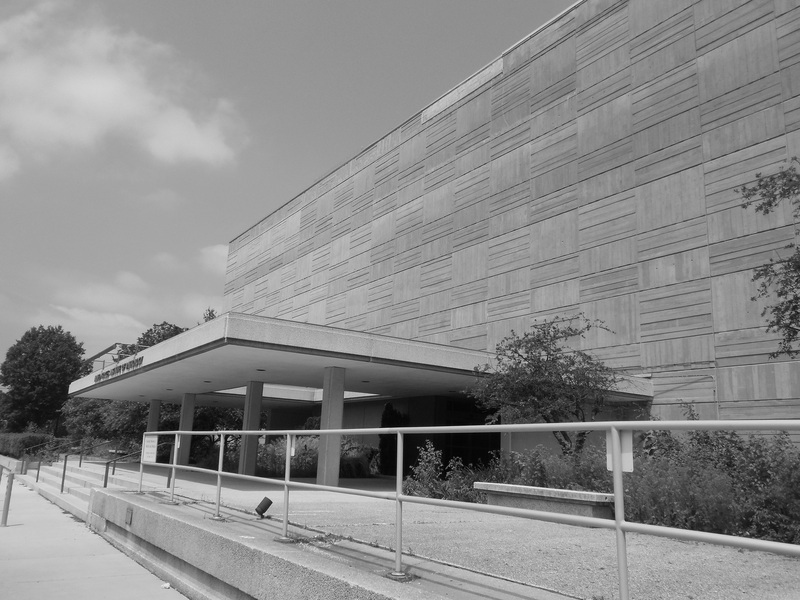 The central administration building is the focal structure in a formal, axial plan with a series of dispersed wards and support facilities arranged in an ample landscaped setting. 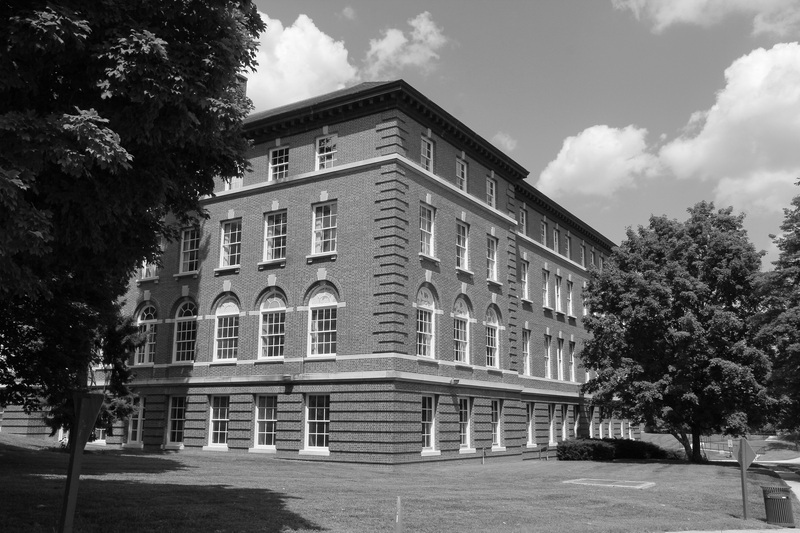 The buildings are united by their Georgian Colonial Revival architecture in red brick with wood and limestone trim. 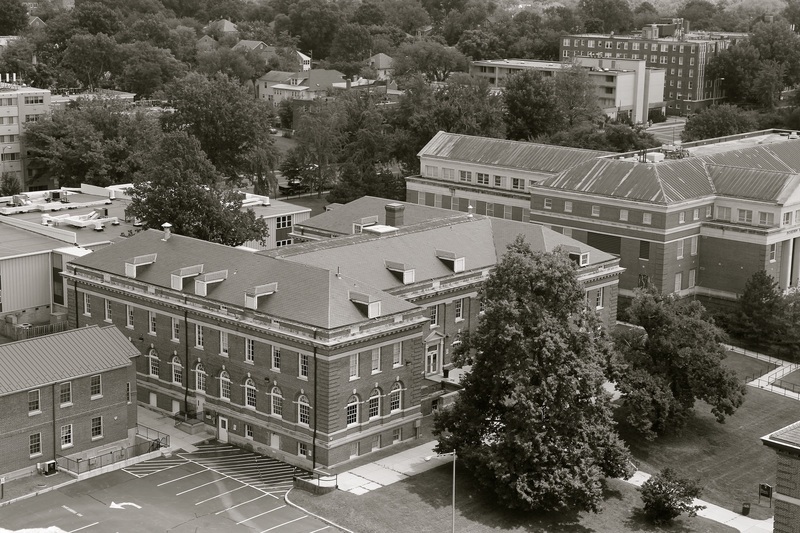 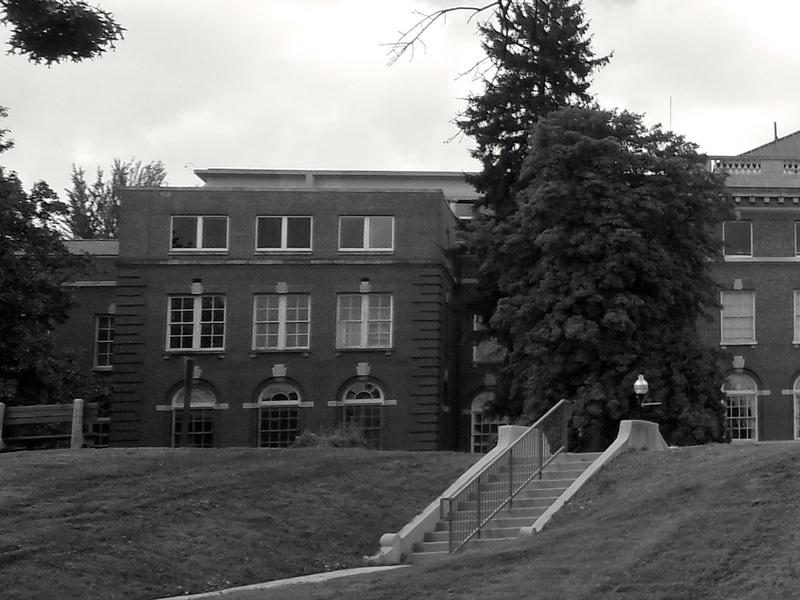 The site for the campus was acquired in 1905, and the hospital opened in 1908. 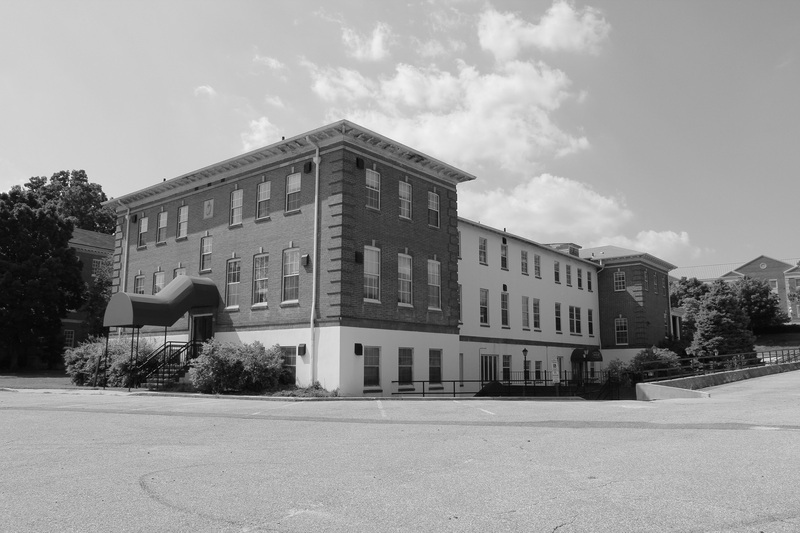 Between 1920 and 1922, the hospital expanded with the acquisition of additional property that had already been subdivided into residential lots. 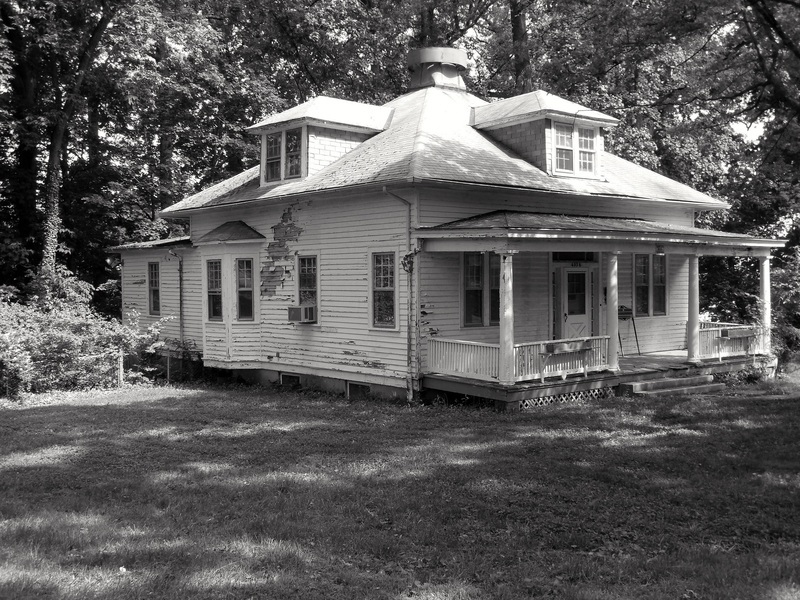 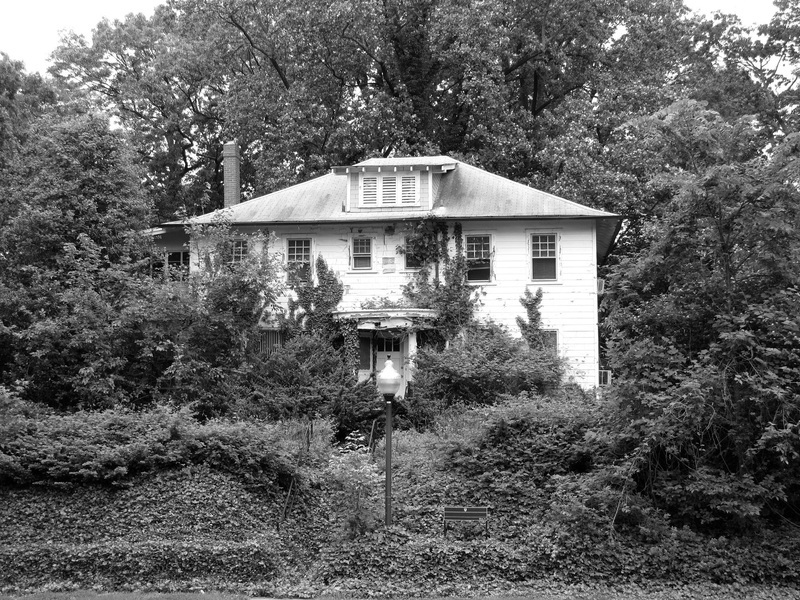 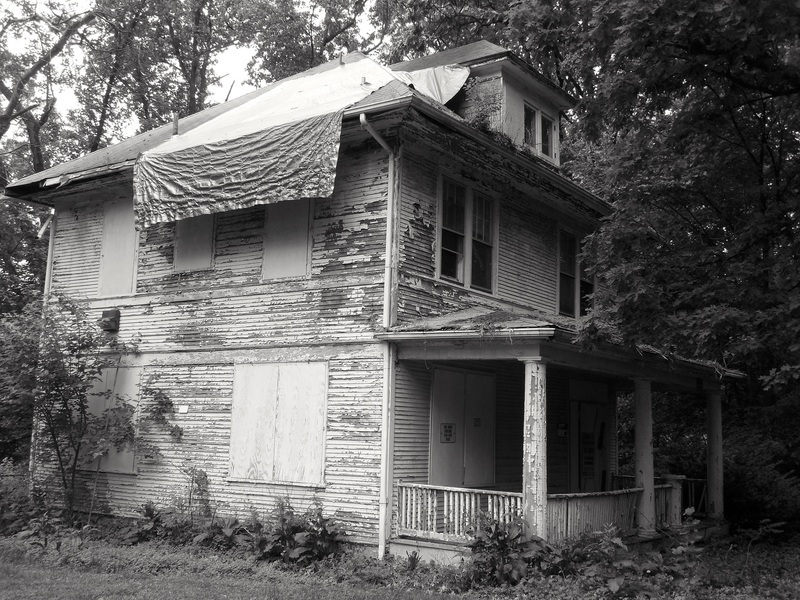 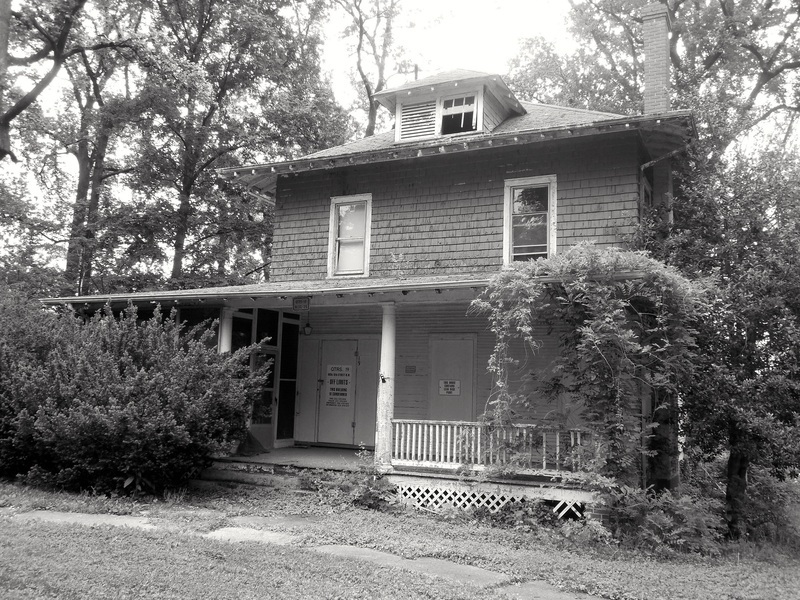 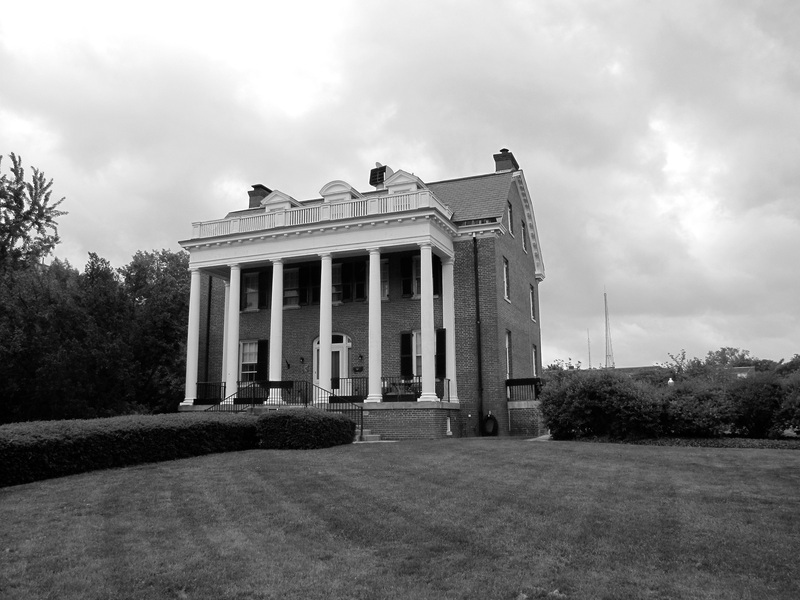 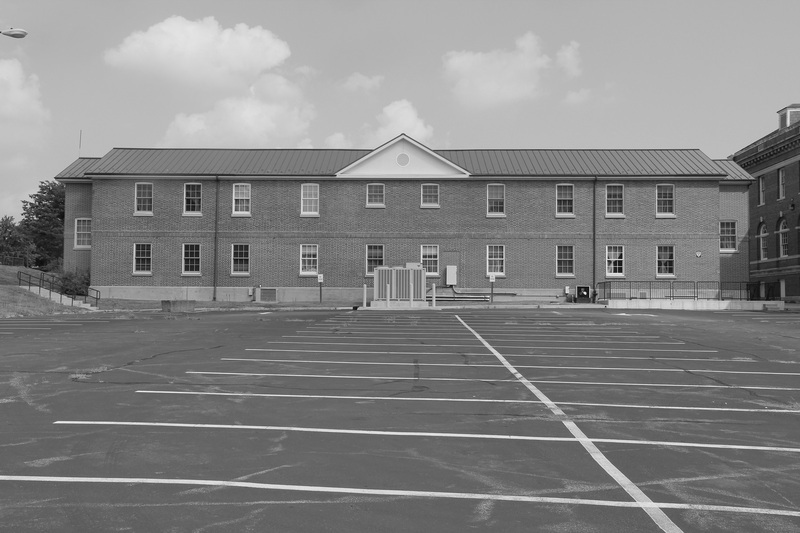 Fifteen detached houses were included in the purchase, and were adapted for officer’s housing. 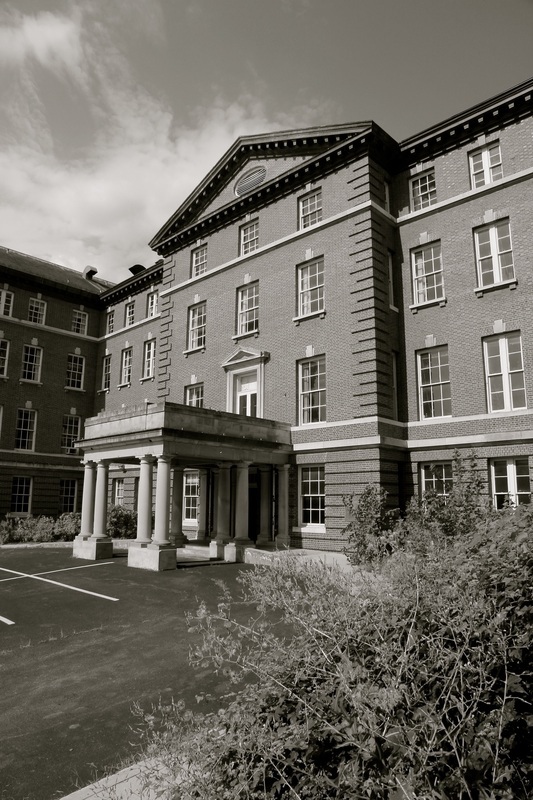 The original Main Hospital (1908) has seven major additions: the Mess, Kitchen and Wards (1914), East and West Pavilions (1915), East and West Wings (1928), and General Mess, Library, and Wards (1928). 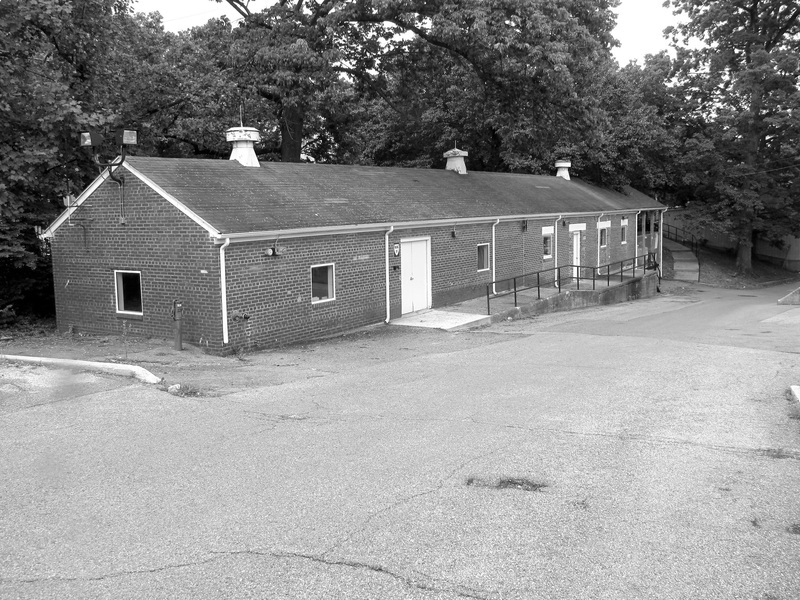 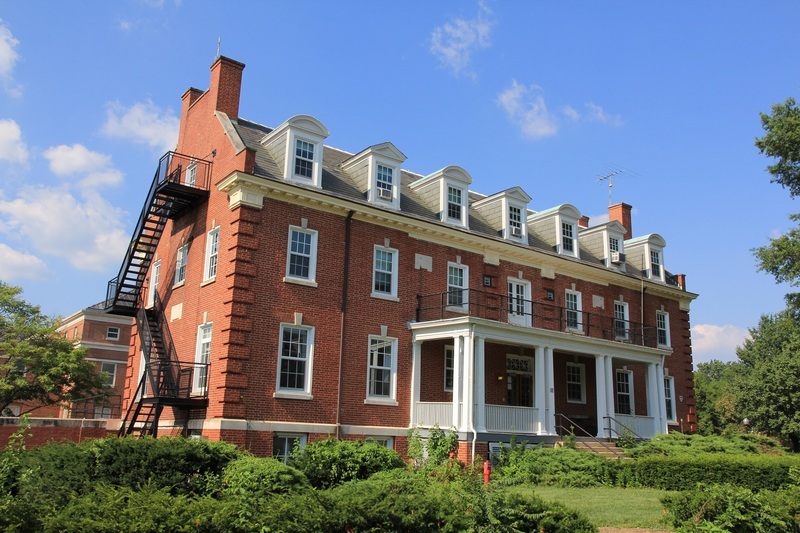 Other contributing structures include Officer Housing and Barracks (1910), Nurses’ Quarters (1911 and 1929), frame dwellings (ca. 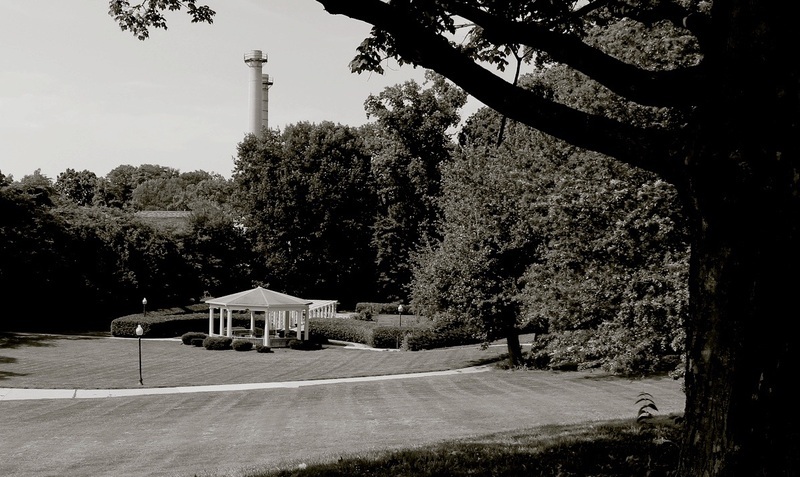 1915 to 1919), Central Heating Plant (1918), Incinerator (1920), Service Club (1920), Rose Garden (ca. 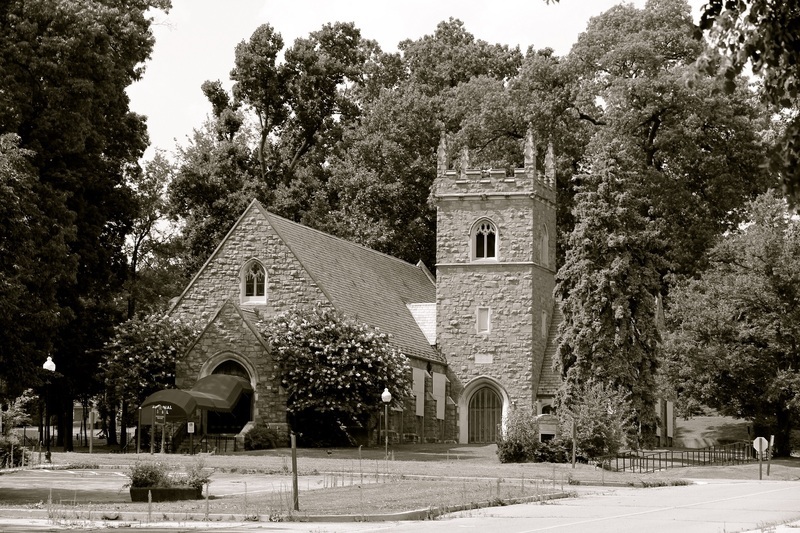 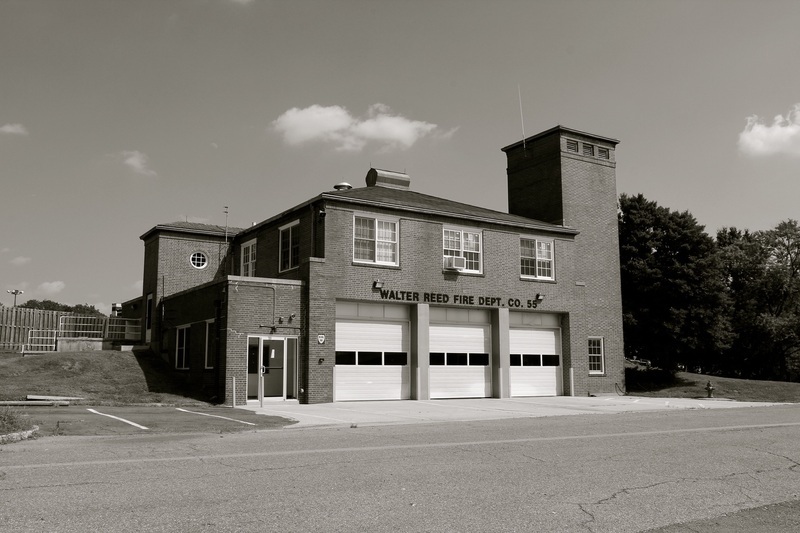 1920), Army Medical School (1924), Red Cross Building (1927), Memorial Chapel (1931), and Fire Station (1946). 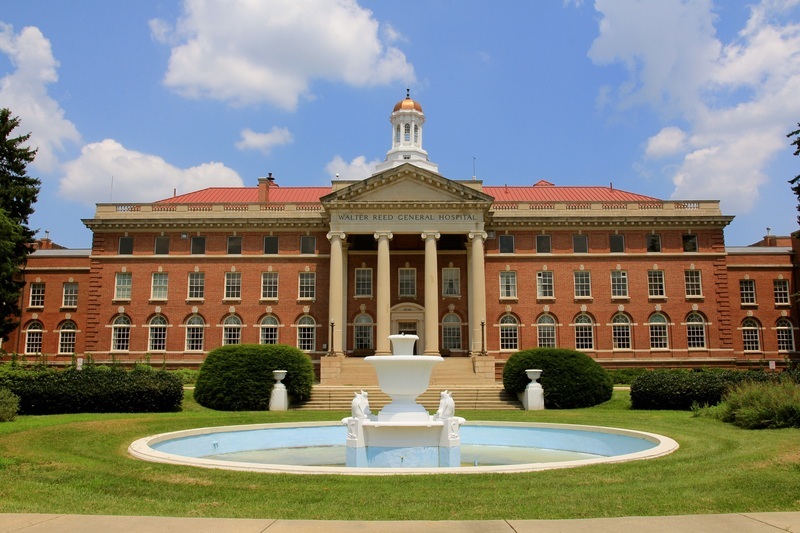 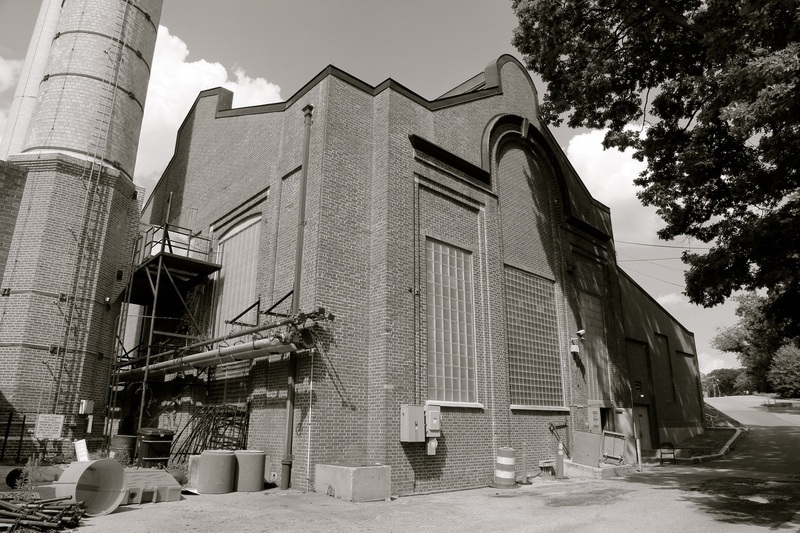 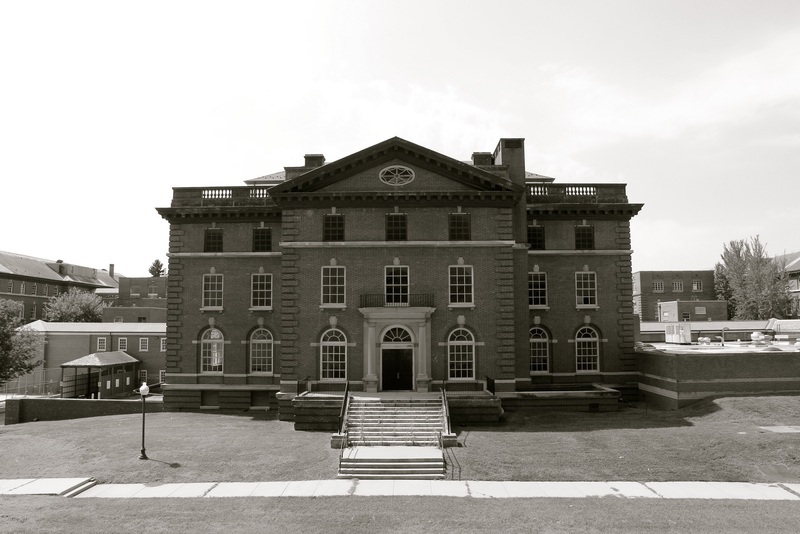 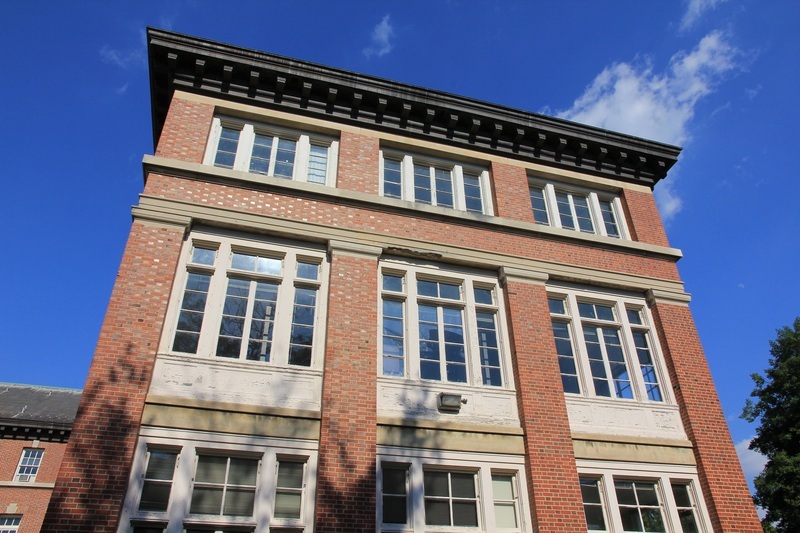 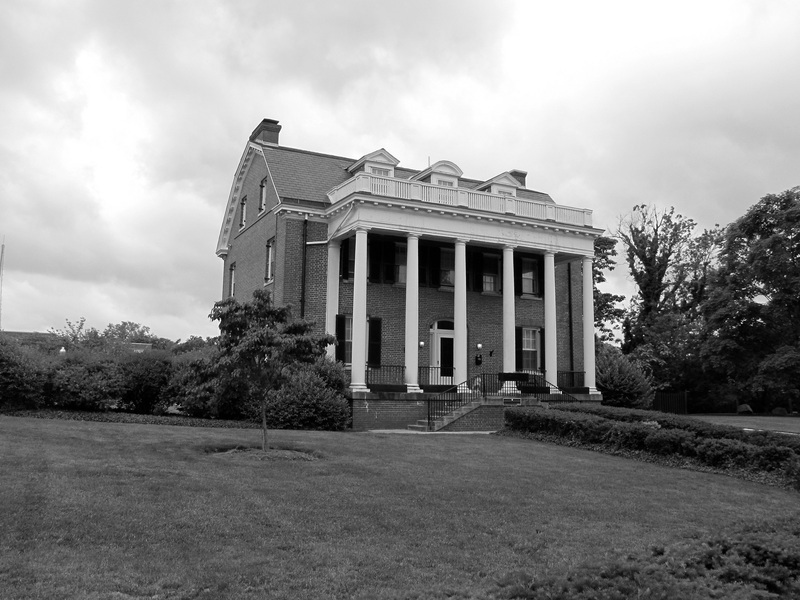 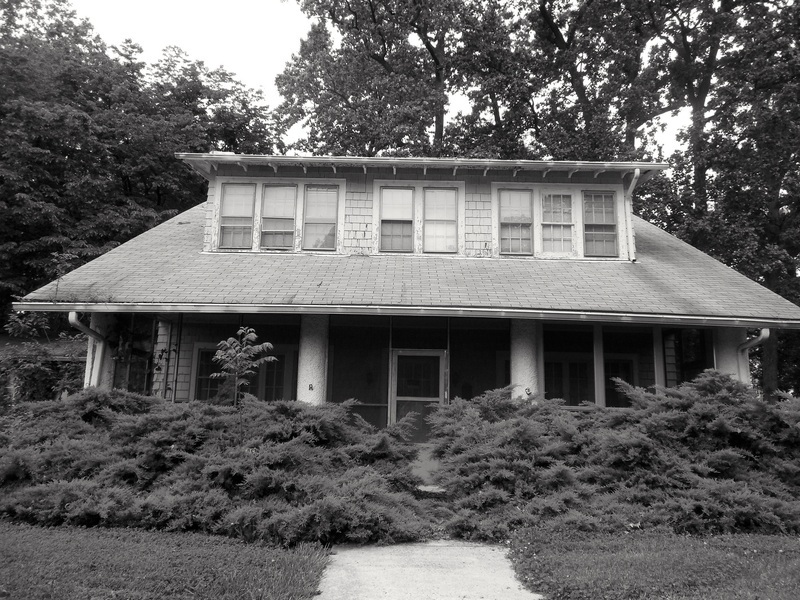 “Walter Reed Army Medical Center, Main Section Historic District (Walter Reed General Hospital),” DC Historic Sites, accessed April 24, 2019, https://historicsites.dcpreservation.org/items/show/639.